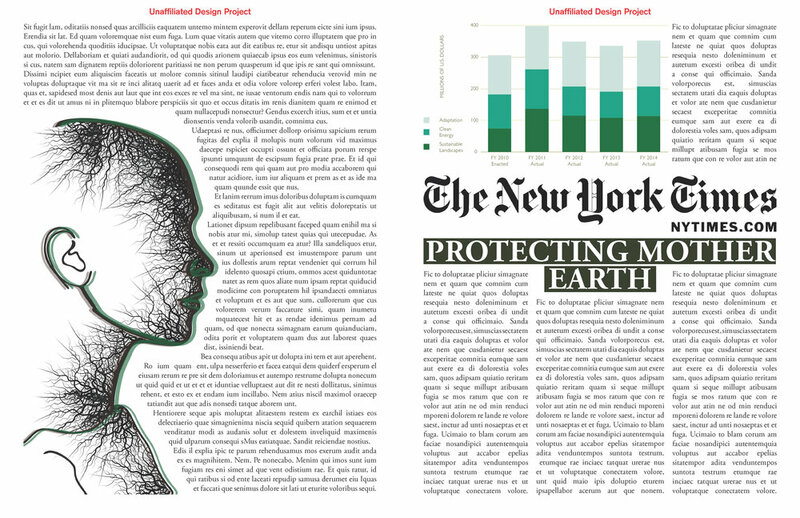 These three layouts are an example of a newspaper article about climate change. 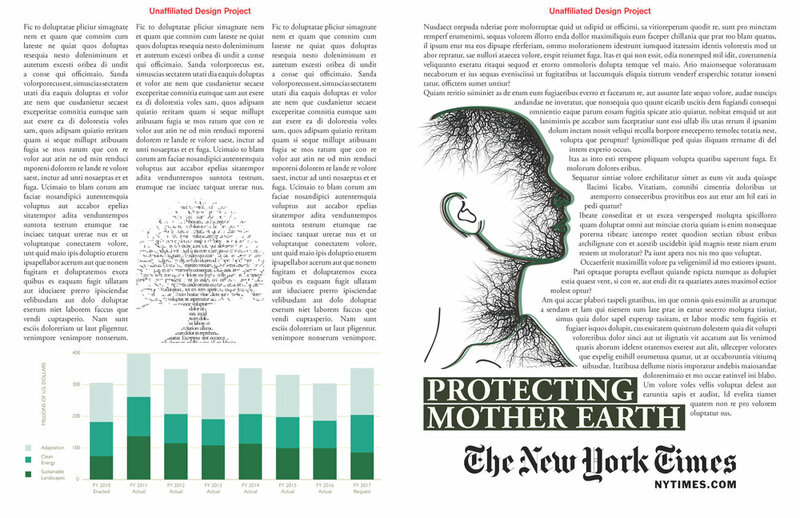 I have seen Newspaper and Magazine design is moving more towards nonconventional layouts incorporating illustrations and less blocky text. I wanted to experiment by adding a few different elements to the spreads. The text is just place holder text and the tree made of text would theoretically flow as one paragraph.